February is coming faster than we think, which means its time to start planning for the Super Bowl. If you don’t have cable, then you might already be wondering how you’re going to experience this year’s game. Of course, there are also a lot of other aspects to the big game that might leave you wanting to spend a whole lot of money. Although it’s too early to pick a side, you might want to check out these ten ideas, so you can save money on the big event. With a little help, your Super Bowl experience won’t cut into your budget at all, which should make you feel great, whether your team loses or wins. A lot of people try to make sure they have the best possible view for the big game. Although you might have budgeted to get a new TV during this time, there are many other ways you can save big in this area. Although the sales should be irresistible during this time, if you really don’t have the money for such a splurge then you might consider renting a TV instead. This will allow you to enjoy the higher quality and bigger screen during the game, but won’t give you a financial commitment that will make you tight on money for the next few months. Best of all, this will give you the opportunity to try out the TV before you decide if you should buy it or not. If you don’t want to throw a party or pay for a service to watch the game, then a restaurant might be a great idea for you. This is especially great, if you’re going to be watching the game on your own. Many bars and restaurants will be offering specials during this time, so you might be able to score a great deal on food or drinks. As long as you have something to eat or drink at the venue, then you should be set to watch the entire game. It will also give you a chance to cheer on your team with other fans, which will give you the pleasure of a party without the cost. You might even feel like you got your money’s worth since you won’t have to cook or deal with expensive snacks from the store. If you plan on doing this, then keep an eye on your local venues as many won’t announce deals until a few days prior to the big event. However, you can always go ahead and make plans based on other Sunday specials that intrigue you. Antennas are the best way to get more out of your TV without spending a monthly fee. In most areas, antennas can pick up a few basic channels, including ABC and Fox networks. With these channels, you should be able to catch the big game without forcing you to spend a lot of money. Of course, you should monitor the channel before the game begins to make sure that your antenna is located in an efficient area. This will help avoid interruptions that might occur due to lack of signal. You can purchase an antenna for fairly cheap and the channels you receive on it won’t cost you a cent. Many people really get a kick out of having people over during the big game. It is part of experience, so not throwing a party simply isn’t an option. If you choose to do this then one of the best things you can do is host a potluck style party. This will take a huge burden off of you and will ensure there are plenty of snacks for everyone to enjoy. You can keep your potluck simple by asking people to bring basic snacks, like chips and sodas, or you can have a more intricate party with people bringing dishes for an actual meal. No matter how you choose to work your party, make sure to give your guests notice well in advance so they have time to plan on the items they need to bring. If you like the party atmosphere, but don’t want to sink a lot of money into your own party then go to someone else’s. You don’t have to host the party to have a good time, in fact, it might be nice to take a load off and just enjoy yourself. So, try to find a friend that’s hosting a party or branch out to the community. Some churches, clubs and community centers will actually host their own party, which should allow you to have some fun without worrying about the price tag. This is probably one of the best ways to enjoy the game and will give you the comradery that you crave. The internet brings a lot of power to you when it comes to watching things like the Super Bowl. If you have devices like a Fire Stick or Roku, then you’re already set to find a multitude of options that will allow you to check out the Super Bowl on your own terms. Even if you don’t have one of these devices in the home, you should still find options that will suit your needs. For instance, if you have a laptop or phone then you should be able to stream the Super Bowl from channels that would typically play the game. Usually, these channels don’t charge, but even if they do it is only a few dollars or a free trial should be available. With the internet on your side, you should be able to enjoy the Super Bowl without worry. You can even make it larger than life if you have a projector and a blank wall. A lot of people think they need to grab specific items when it comes to the Super Bowl. Retailers bank on this concept and often offer Super Bowl sections to ensure people spend more money on the event. During the Super Bowl itself, you will see a wide variety of commercials designed to get you to want to get up and go shopping or at least hit the drive thru window. One of the best things you can do is stick to what you already have in your cabinet. Snacks can be just about anything you want to eat, including leftovers, so don’t go out of your way to make this happen. This will save you a lot of money, especially when it comes to saving money on restaurants. It also might make the event a lot healthier for you, as most Super Bowl snacks aren’t exactly great for you. It might be tough, but if you don’t have the budget to throw a party then don’t do it. You can skip out on the party for a year without disappointing too many people. If you’re feeling a little exhausted then this might be the perfect weekend to spend on you, instead of worrying about snacks and other items. There is nothing wrong with watching the game on your own as you can do so in your pajamas if you please. Not throwing a party will really cut back on your spending. It might also offer a lot of other options to you. For instance, you might spend time at a new friend or colleague’s home instead. You may also just find the time is right to spend quality time with the children without anyone else interfering. If you do choose to host a party, then one of the best ways to keep people busy without forcing you to spend lots of money is to keep them moving. Exercise will prevent everyone from wanting to snack throughout the game, which will cut back on the amount of snacks and beverages that you need to grab. For instance, during the commercials, you might have people do jumping jacks, run in place or other exercises in order to keep them busy. You can base the exercise on how poorly their team did. People will love the punishment and reward concept so much that it might even become a part of your new game day experience. 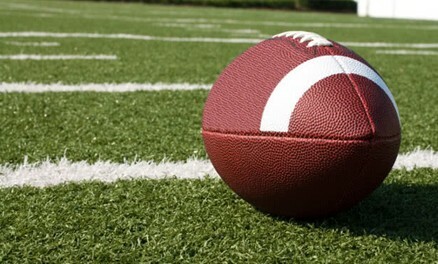 During the half time show, consider bringing out a game of charades or have everyone toss the ball around outside. Everyone will be too busy to think about snacking, which is sure to make your life a lot easier and more frugal. It doesn’t matter if you’re hosting a party or not, one of the best ways to save during this time is to actually use coupons. You can use coupons in the grocery store or even in a restaurant or bar that you choose to go to. Luckily, during this time many stores will actually put out more coupons that are based around items that you would typically buy for the Super Bowl. Of course, if you don’t use these coupons for the party then you may simply want to use them to stock up the house without spending a bundle. These coupons are especially good for buying items in bulk, so don’t shy away from them if you want to save some money. The Super Bowl is a great time to hang out with family and friends. However, it can also cost you a bit of money if you want to really go all out for the experience. These tips will help you save quite a bit of money on your Super Bowl experience, so you can enjoy the game how you please without throwing money away in the process.